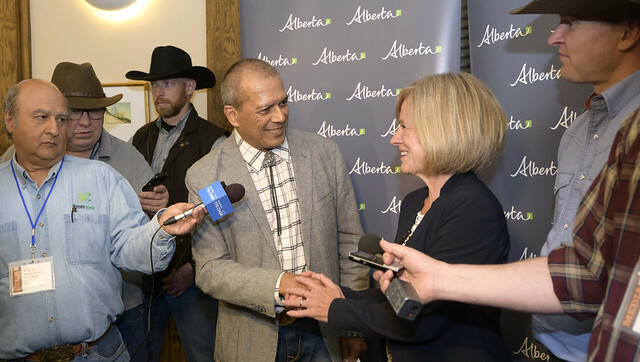 The third intake of the Capital Investment Tax Credit will support more than 1,350 jobs, with 21 Alberta businesses investing billions of dollars to build or upgrade their facilities. The first two rounds of the government of Alberta’s Capital Investment Tax Credit (CITC) saw per capita private-sector investment in the province rise to more than twice the national average. The third intake of the CITC supports 21 projects, including a new gas remediation facility, wood fibre pellet plant, chemical cleaner facility and a noodle facility. Other projects include upgrades at a robotic storage system manufacturer, pulp mill, frozen food facility, medical research facility, metal manufacturer and a fishing resort. NOVA Chemicals’ $270-million ethylene furnace refurbishment project in Joffre is one of the CITC’s third-round recipients. The project will support more than 200 construction jobs at its peak and improve the facility’s production, while reducing emissions. Budget 2018 expanded the CITC to 2021-22 with an annual budget of $30 million. Credits from the first three rounds of the CITC are expected to support more than 3,000 jobs, with companies investing more than $2 billion to build or upgrade their facilities. The total value of the first three rounds of credits is about $99 million. The third CITC intake window closed on March 16, 2018, and the fourth intake will open in January 2019. To learn more about eligibility criteria and how to apply, visit: alberta.ca/capital-investment-tax-credit.aspx.